Wow, this looks interesting. I use the RX100 for beauty shots at weddings and this is what's missing: 24 wide, constant aperture. Release date? Put that sensor/lens combo in a CX/PJ camcorder body with Sonys BOSS stabilization and I'm sold! Sony, are you listening? Clean HDMI uncompressed output 422, built in ND!!! 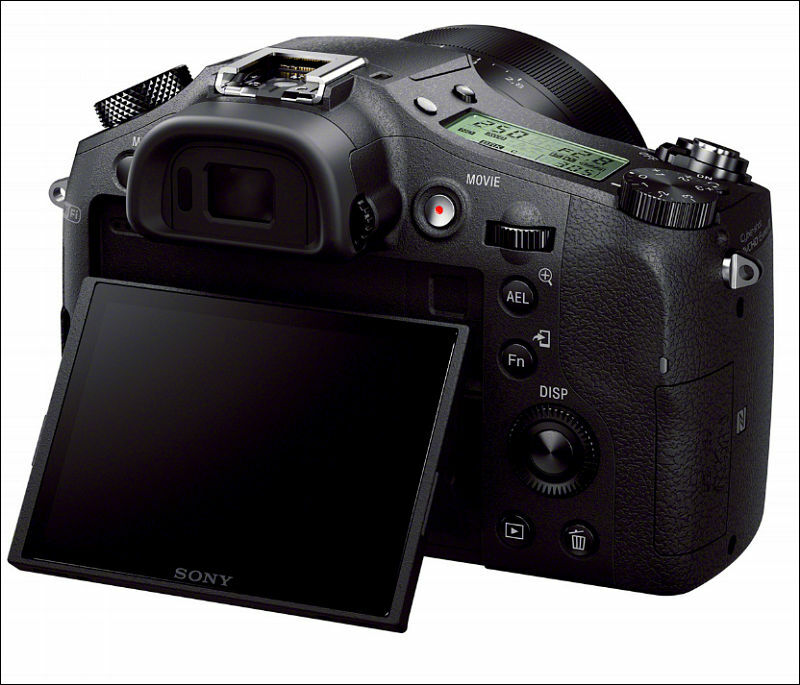 Where the Sony RX10 really breaks new ground for video, though, is that it's the first camera we're aware of that reads out the entire sensor pixel array for every frame, performing sub-sampling/video anti-aliasing in the processor. This potentially addresses the huge bugaboo of still-camera video recording, namely the tendency towards moiré and false-color artifacts, thanks to the mismatch between still-image and video resolution. 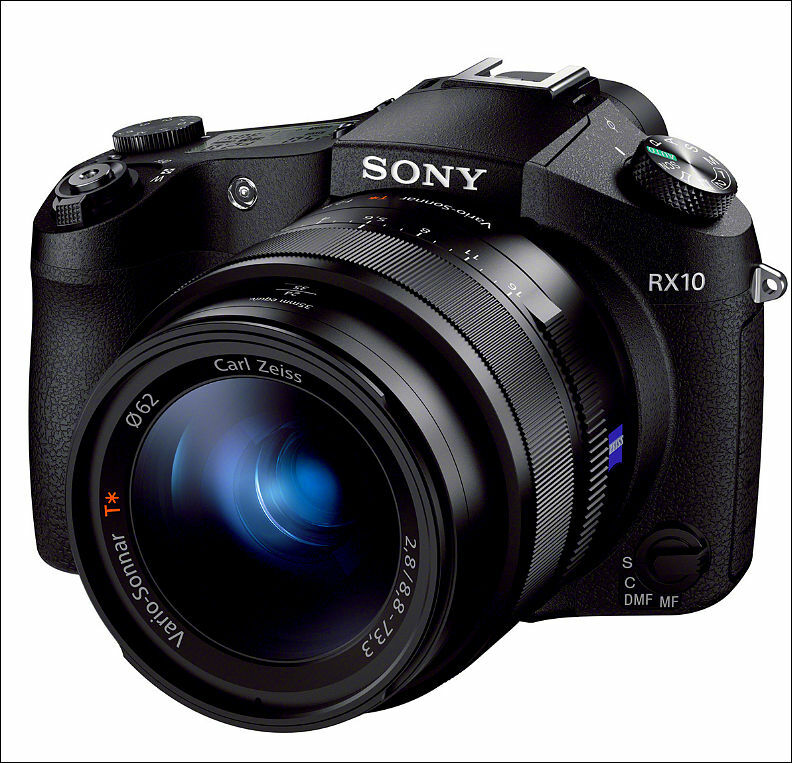 RX10's processor clocks the entire 20-megapixel image off the array up to 60 times/second, and then sub-samples (think of it as a special class of signal averaging) the raw image data digitally, to produce the final 1,920 x 1,080 video image. Doing so effectively performs a low-pass filtering operation on the video data, thus greatly reducing the propensity for moiré and false color artifacts. Speaking of full exposure control, one very nice touch not the Sony RX10 is that the aperture ring has a mechanical switch on it to disable the 1/3-f click stops. This is great for video shooting, as you can shoot in aperture-priority or manual-exposure modes with continuous, silent aperture actuation. Speaking of the eyepiece, Sony's really outdone themselves with viewfinder optics on the RX10. We're told that the viewfinder lens has no fewer than four double-sided aspheric lens elements, an unprecedented level of optical sophistication for an EVF. It shows in the view you see when looking through it, though. No fuzzy corners, chromatic aberration or other distortions; the view is clear and crisp, from corner to corner. It is same on every similar product. FZ200 is no better here. My understanding here is that good powerful motor is costly, hence it is better to use cheap one and run it slow. They should print 24-200mm f7.6 considering the 2.7 cropfactor. Sure, the light gathering is f2.8 but since we're dealing with a 1" sensor the DOF is more like f8, and the RX10 has to do some severe processing to compete with a larger sensors signal/noise ratio. Looking forward to some downloadable clips! It is same flame again. Ideas of equivalent F number and such are very old. They do things according to proper definition. Actual crop in video mode is 2.95. Looks quite nice, only tick box it seems to be missing for video is the hybrid autofocus (on sensor phase detect) for smooth AF transitions. Also the zoom speed isn't a problem for me, I rarely use snap zooms anymore. only tick box it seems to be missing for video is the hybrid autofocus (on sensor phase detect) for smooth AF transitions. A7 has phase AF on sensor. And I think they must use it in video AF somehow. Here they just lack ready sensor, I think. Just got a RX100 which surprised me by how well it performs. Had a play with a fz200 which is okay. Rx100 is going on ebay. This is my xmas gift this year! The strap lugs though...I cant stand the lugs they keep using! Haha I'm starting to think they do! I see this camera working well on jobs where people used to use an HVX200 or a similar type camera. "Where the Sony RX10 really breaks new ground for video, though, is that it's the first camera we're aware of that reads out the entire sensor pixel array for every frame, performing sub-sampling/video anti-aliasing in the processor." wow ..... seems to be a possible 5K hacked cam ? Just when I had given up on Sony being a real player in this arena they surprise me with a really great looking product. So many interesting features but I can't wait to see what the tested images look like. I'm very intrigued tho. Built in ND, nice lens. compact and with Headphone and Mic... this is an RX100 on steroids.